Groove Jones took part in the official white paper for the IAB official report on the status of VR and what it means to marketers and advertisers. Below is content from the press release by the IAB. The Interactive Advertising Bureau (IAB) and its Mobile Marketing and Digital Video Centers of Excellence today released “Is Virtual the New Reality? : A Market Snapshot of VR Publishing and Monetization.” This comprehensive report explores virtual reality’s promise and pitfalls as the “the next big thing” in digital advertising. 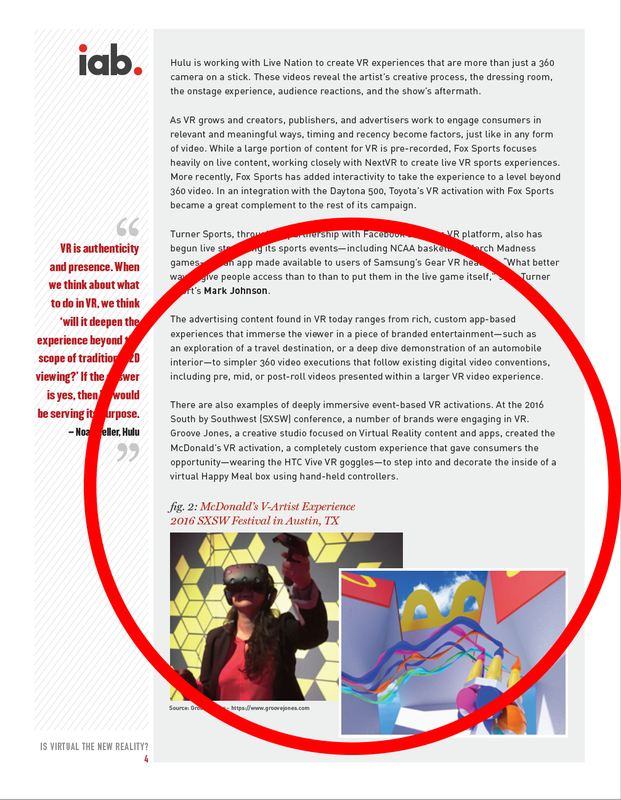 Interviews with two dozen leading voices in advertising, publishing, VR software, and developer platforms offer key takeaways, lessons learned, and future plans in the emerging virtual reality field, including thoughts on augmented reality and 360-degree video. Among those interviewed were Dan Ferguson, EVP of Digital at Groove Jones, Aaron Luber, Head of Partnerships at Google Cardboard, Megan McCurry, Senior Vice President and Group Media Director at DigitasLBi, David “Shingy” Shing, Digital Prophet at AOL, and Nick Van Amburg, Vice President of Ad Innovation at The New York Times. Below is an image showcasing Groove Jones’ work in the space. The opportunity for immersive storytelling, shopping and product demos, and the medium’s power to stir emotions in a new way, were all cited as some of virtual reality’s major strengths. Several of those interviewed noted that it’s vital for content creators to understand that the VR production process is far from straightforward. They need to recognize that in VR, consumers have the ability to interact with content and change their field of view and perspective, something traditional media doesn’t present. 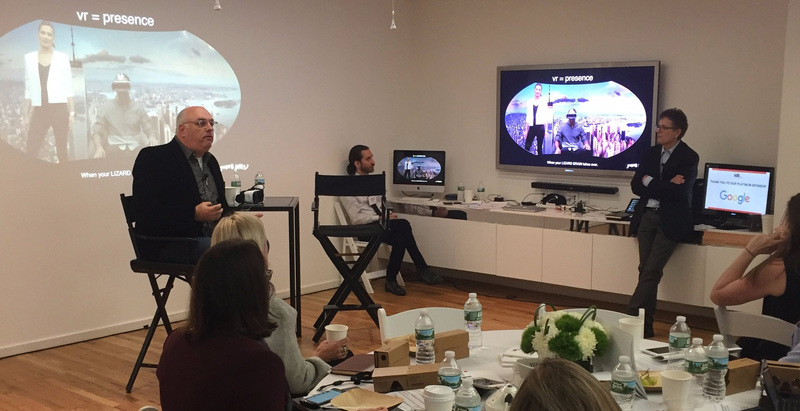 Dan Ferguson, EVP at Groove Jones, recently spoke at the IAB Global Summit in NY where he discussed how VR is being used by brands as a new digital platform.